This piece is 113" long and 22" tall. The cabinet and face is made from maple plywood and lumber with has been lacquered high gloss black. 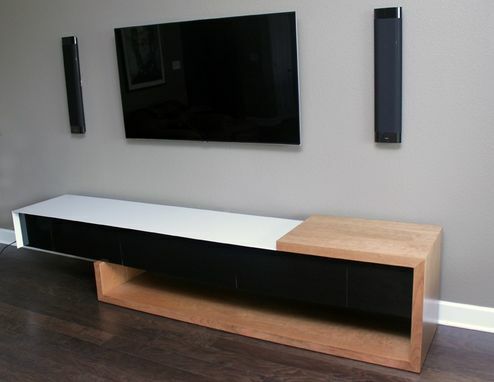 The wood surrounding wood is American cherry and the white top is 1/8" powder-coated steel.